Game retail giant GameStop announced on Tuesday the opening of a 4,000 sq. ft. facility that will serve as both a retail and videogame tournament center. The San Jose, Calif. facility is the first of what GameStop said is a series of tournament-focused stores. The new center will boast 24 networked gaming stations equipped with plasma monitors. The first tournament is being held on December 15 from noon to 4 p.m., featuring Madden NFL 08. The winner will receive a $1,000 GameStop shopping spree. It’s unclear how many of these stores GameStop intends to open. Reps for the company were unavailable as of press time. 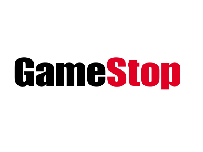 GameStop currently has over 5,000 stores worldwide. Action adventure game, based on the famous Arthurian legends. In a remote part of Avalon, known as the floating isles, a now secluded Merlin was busy with the teaching of his apprentice, Memorick. And..